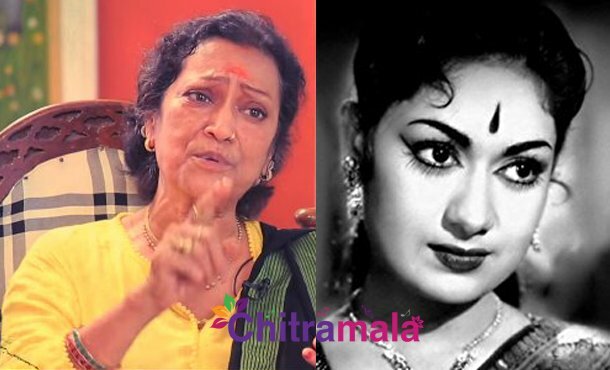 One of the most loved movies in the recent times is Mahanati. Keerthy Suresh as Mahanati Savitri, this movie is directed by Nag Aswin. This biopic of the late actress is facing some allegations that some of the facts were blurred and portrayed in the other way. Gemini Ganesan’s first wife’s daughter came up with serious claims that her father was shown in a very dim light. Now, actress Ramaprabha’s latest interview which is to be out yet is to create some ripples as per the promo. In the promo video, Ramaprabha is seen answering the questions related to Savitri and her life. Ramaprabha seems to be very specific of one thing that Savitri is merely responsible for what happened in her life. She also said that nobody is to be blamed for her downfall. The full interview is to be out soon.